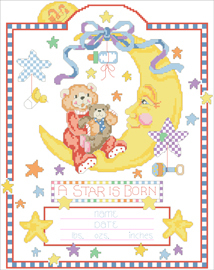 The sweet sentiments, soft colors, and delicate designs of this "moon-struck" design are sure to delight both the stitcher and the baby. Contents: Stitch Count: 140 stitches wide by 177 stitches high. 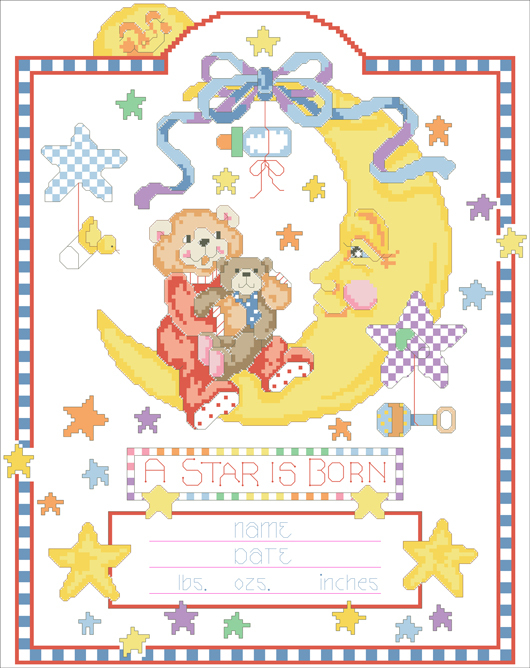 If stitched in 14 count, project would measure 10" wide by 12.65" high.